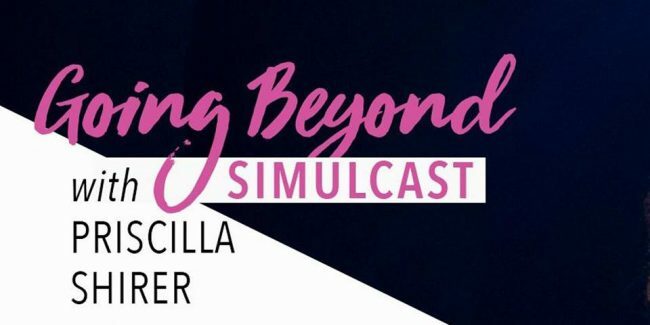 Join us for Going Beyond Live with Priscilla Shirer Bible teaching event to you, your church or group! On April 27, 2019, we invite you to join Bible teacher, Priscilla Shirer and worship artist, Anthony Evans for a global Bible teaching event! Women will gather from all around the world for this one day teaching and worship event. Watch at First Baptist Church in London, KY from 9am – 4pm! The Simulcast is free. The workbooks are $1.00. Lunch will be from 11.30 to 1.00 and is on your own. We will meet at First Baptist Church. 804 West 5th Street, London, Kentucky. Please call the church office if you can join us. This is a fun time for kids, which includes a meal, recreation, music, and Bible study.